After having worked for Rolls-Royce for more than fifty years, Mr. Helmut Hujer then spent the next ten years working on this book – a huge compilation of stories and photos. This was his Lebenswerk (the work of a lifetime). The book has almost 800 pages, weighs close to 11 lbs, and spans the 125-year history of the Motor Pool from 1892 – 2017. To see a list of the people’s names having contributed to the book, visit this Personenregister or List of contributors. 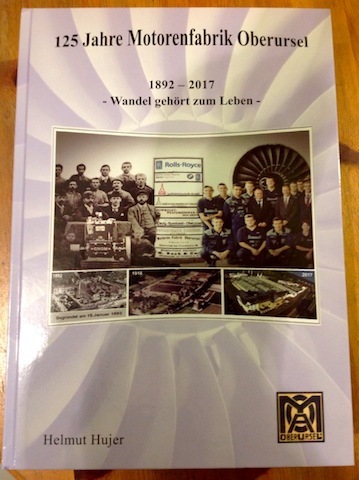 After years of intensive research and collecting photos, Mr. Helmut Hujer, published his book 125 Jahre Motorenfabrik Oberursel in September 2017. The book includes 125 years of the history of the Motor Pool from 1892 – 2017. 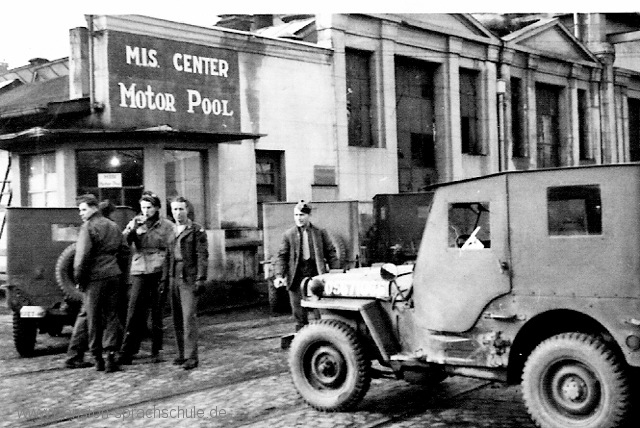 U.S. Americans worked at the Motor Pool from 1945 – 1956. 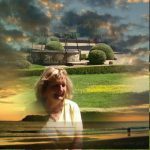 I got in contact with Mr. Hujer through one of my blog readers, Jack Stites. Jack, who had worked at the Motor Pool from 1954 – 1955, then contributed some photos for this publication. If you are in Oberursel, you can purchase the book for euro 50 at the Vortaunusmuseum, at the Werksmuseum Rolly-Royce, or directly from the author (hujer.helmut@t-online.de). If you are in the U.S.A. and want it shipped (896 pages, weight: 11 lbs), then add the postage fee of euro 37,99 to the book price. If you need help getting this arranged, then drop me a line. 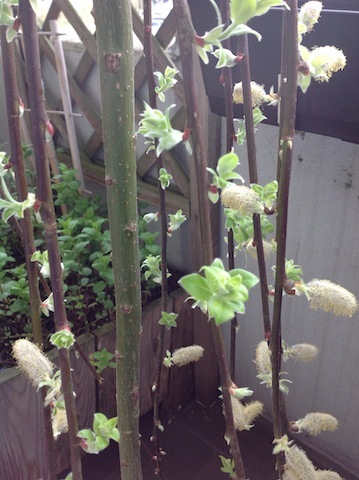 This weeping willow (German: die Trauerweide) is growing very nicely on our balcony. In the summer of 2012, the author Annie Jacobsen sent me an e-mail inquiring whether she could meet Mr. Kopp, our Camp King Historian, and me on her trip to Germany the following month. She came to do her research on Nazi Germany for her book Operation Paperclip, and then the three of us toured various sites together. She initially had asked me to function as her interpreter, which was not necessary, because Mr Kopp’s English is close to fluent. 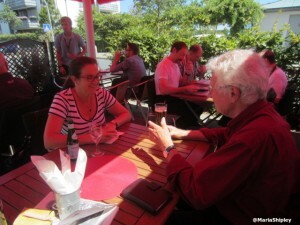 For our warm-up session and discussing the day’s agenda, we started out at our local pizzeria :-). 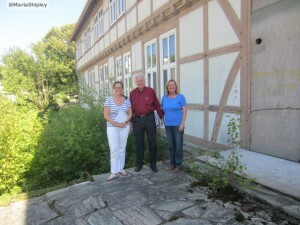 More about Ms Jacobsen’s visit in August 2012 here at: A Visit to Schloss Kransberg. Mr. Kopp just sent me a note, reminding me of Operation Paperclip having gotten published on 11 Feb of this year. And we were both mentioned in her acknowledgements on page 665. Thanks for the mention, Annie. We had an interesting day with you as well. Sharing the newsletter sent out by the English Theatre Frankfurt on 30 October 2013. On Thursday 24th October 2013, the English Theatre Frankfurt (ETF) opened Europe’s first public book case exclusively for books written in English. Our guests of honor were Lord Mayor Peter Feldmann and the former Mayor of Cultural Affairs, Hilmar Hoffmann, among other wonderful friends of the ETF. People are invited to leave books for others to take, like a book exchange in a public space. We believe this will work splendidly in front of our main entrance, as the performances draw not only thousands of teachers and students but also native speakers who live and work in Frankfurt as well as people who are generally interested in the English language. The ETF has taken on the responsibility for the book case. Our staff will make sure that the book case is clean and that there are no inappropriate books on display. Please join us in launching our book case by bringing an English book with you to the previews of Saturday Night Fever, or when passing by the theatre. Whether it’s a classroom favorite or a personal favorite, your book will help make the first English book case in Frankfurt a success. Please pass this message on to your friends who might want to contribute to the first public book case IN ENGLISH.